Nonlinear ARX models — Represent nonlinearities in your system using dynamic nonlinearity estimators such as wavelet networks, tree-partitioning, and sigmoid networks. Hammerstein-Wiener models — Estimate static nonlinearities in an otherwise linear system. Nonlinear grey-box models — Represent your nonlinear system using ordinary differential or difference equations (ODEs) with unknown parameters. Nonlinear model identification requires uniformly sampled time-domain data. Your data can have one or more input and output channels. 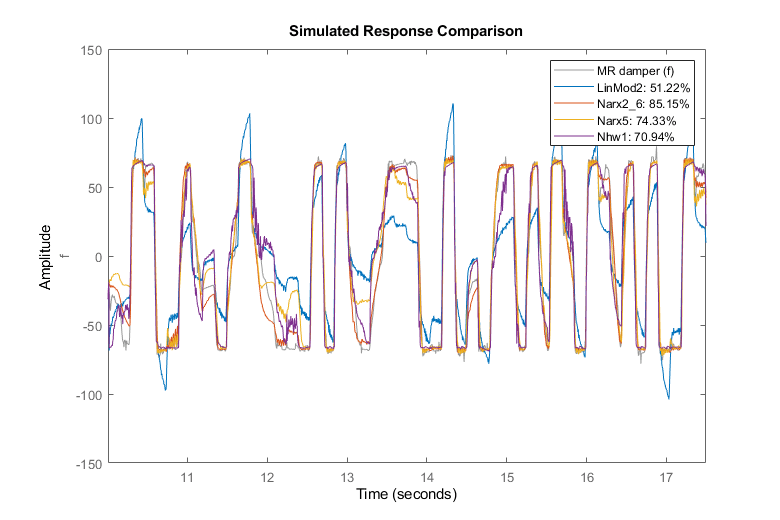 You can also model time-series data using nonlinear ARX and nonlinear grey-box models. For more information, see About Identified Nonlinear Models. 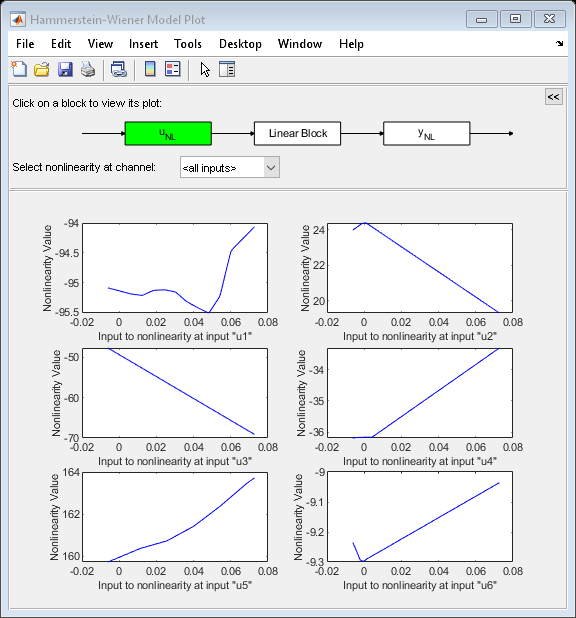 You can use the identified models to simulate and predict model output at the command line, in the app, or in Simulink®. If you have Control System Toolbox™, you can also linearize your model and use it for control-system design. For more information, see Linear Approximation of Nonlinear Black-Box Models. Nonlinear black-box modeling of the dynamic behavior of a magneto-rheological fluid damper. It shows how to create Nonlinear ARX and Hammerstein-Wiener models of the damper using measurements of its velocity and the damping force. Identify single-input-single-output (SISO) nonlinear black box models using measured input-output data. 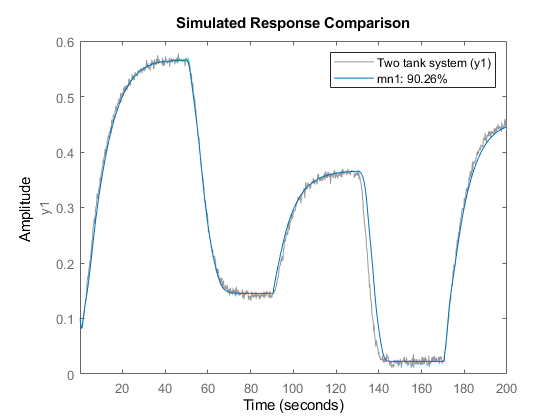 The example uses measured data from a two-tank system to explore various model structures and identification choices. Estimate multi-input multi-output (MIMO) nonlinear black box models from data. Two types of nonlinear black box models are offered in the toolbox - Nonlinear ARX and Hammerstein-Wiener models.